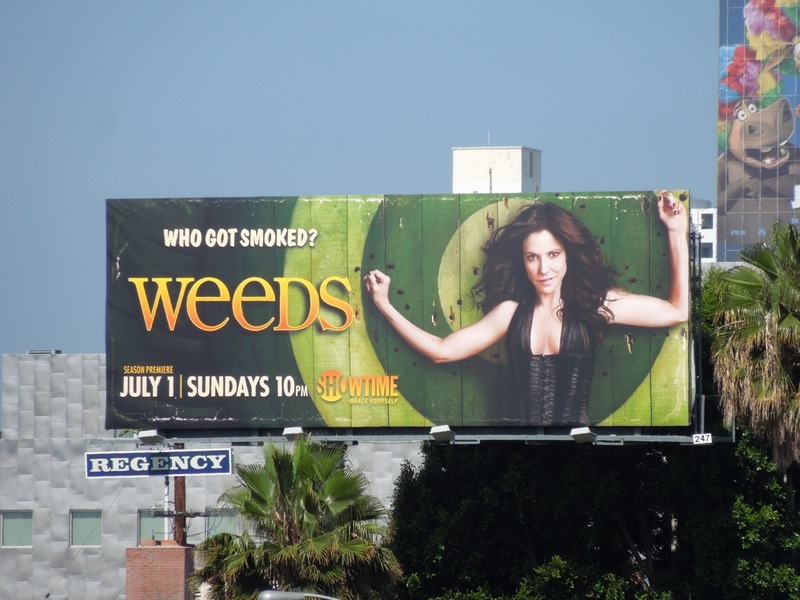 All good things must come to an end and so it is for the eighth and final season of the pot-dealing drama, Weeds. 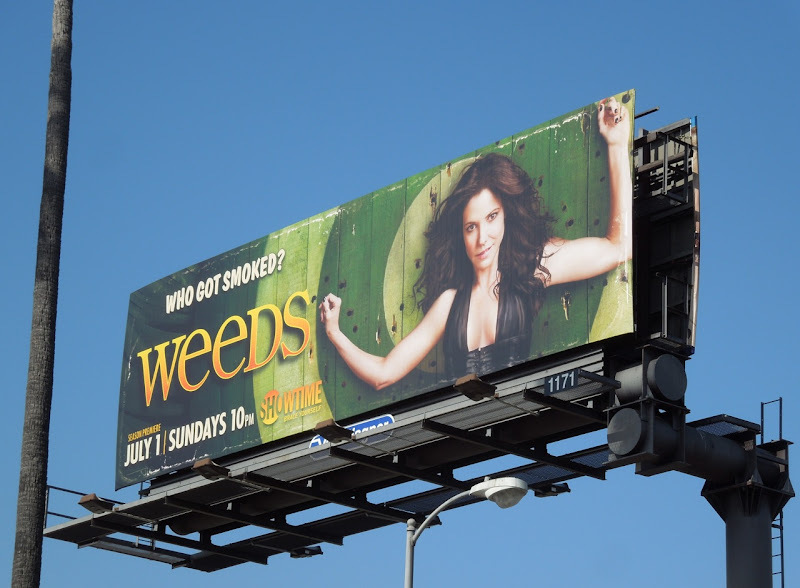 Not only will you find out who got shot, or 'smoked', at the end of last season, but stay tuned to learn the final fate of your favourite suburban-single-mom-turned-drug-kingpin 'Nancy Botwin'. 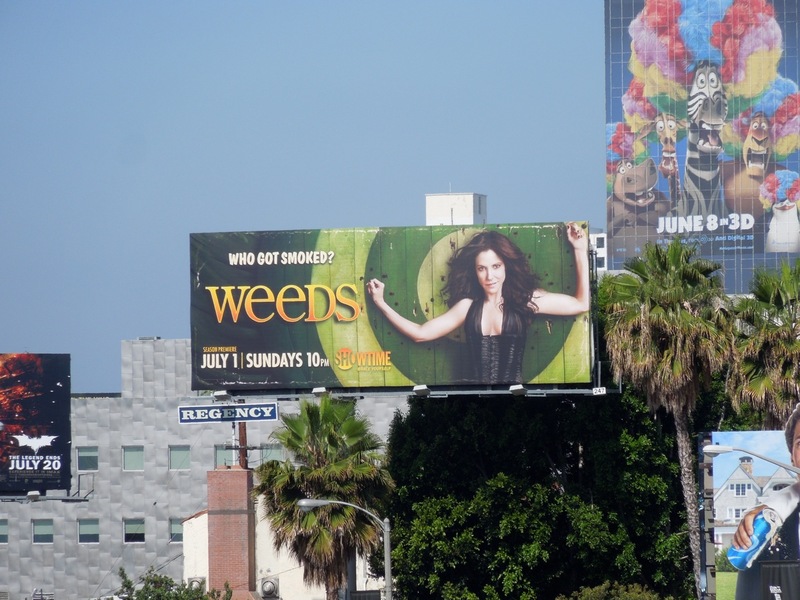 This cool 'target' creative featuring Mary-Louise Parker ready to dodge all those knives and obstacles being thrown at her, was snapped along Sunset Boulevard in two separate locations on June 8 and June 17, 2012. 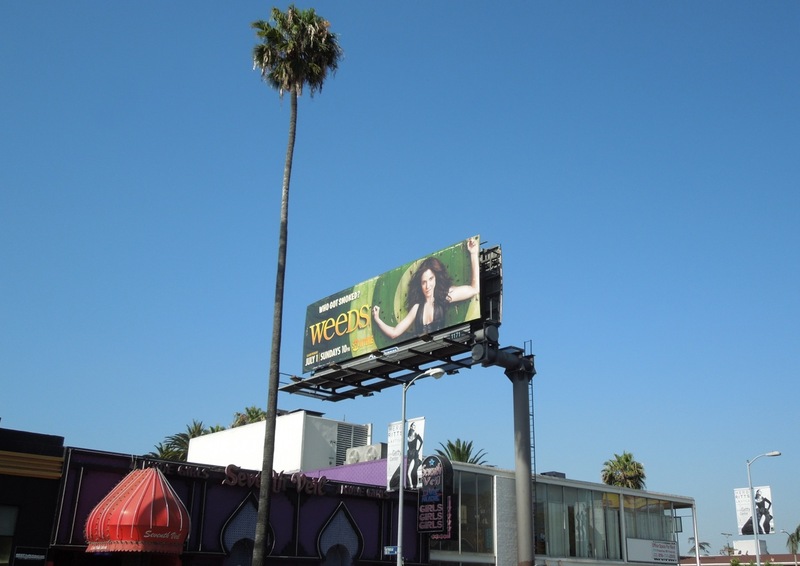 If you're a fan of the show, be sure to also check out the Weeds season six billboard and Weeds season seven joint Showtime ad with The Big C.